Water ATM in Kayole, Nairobi, Kenya, 2017. In 2009, Kenya was reeling through a skyrocketing food price- just almost out of the ravages of the post-election violence, a severe drought and economic downturn. The situation in the urban informal settlements of Nairobi was devastating for most dwellers- more so because 90% of the household needs were market-based. I had just about moved to Kenya and started working as the Urban Food Security and Livelihoods Advisor with Oxfam in Kenya. Through the response, I not only learned how to programme in the urban informal settlements (I had never worked in urban areas earlier) but most importantly it surfaced up the stark inequalities of life. How in the government’s data, Nairobi seemed to be green (food secure) whereas 60% of Nairobi’s population living in the informal settlements struggled to put one meal on the table for the day? How did the government not even think that there are unacceptable levels of inequalities within Nairobi and that would mean that not only the data on food security is skewed but also there is the poverty penalty? How the people in these settlements cut down on their intake of water because they had to pay Ksh 5 for every 20-litre jerrycan whereas people like me living in the middle to high-income estates pay Ksh 12 for 1000 litres. I remember coming back to the office and discussing it with Philippa Crosland-Taylor, the then Country Director and Brian McSorley, the WASH Advisor for Oxfam in Kenya- can we not have a system where like in petrol stations you say how much you want to spend and you get the quality and quantity and pay as any other economically well off? Can the Nairobi Water and Sewerage Company not provide clean and safe water to the informal settlements? Can we not facilitate a technological innovation that eliminates the water cartels? Brian was a brilliant engineer passionate about his boreholes, sanitation blocks, and prototypes of mobile toilets. Anything to do with innovations around infrastructural development for water and sanitation provision acted as energy booster for him. He was a marathon runner, and trust me, I am sure just by mentioning innovation you could make him run five rounds of a marathon- that is how passionate he was. So, he took it upon himself to start looking for solutions to the water provisioning in the urban informal settlements. His initial efforts of finding a solution with the Nairobi Water and Sewerage Company seemed to be hitting a dead end when he gave me feedback saying that it would be too complex and expensive to pilot the pre-paid water dispenser with a mobile payment technology. He didn’t give up though! And neither did I in instigating his technical intelligence. In 2015, we finally got the funding to pilot water ATMs in Wajir a north-western County of Kenya. Post devolution in 2013, we realised as Oxfam, that there is a lot that can be done with the County government to ensure that the government is able to deliver services to the citizens. We piloted eight (8) water ATMs in Griftu and four (4) in Arbajahan working together with a social enterprise Maji Milele (Water Forever). ‘Our first water ATM (then called water pre-paid meters) looks terrible and I would be pretty much embarrassed to showcase it to anyone’ said Brian, but he and his WASH team relentlessly worked with the partner to improve the water ATM from a technical perspective but also on the social aspects. In my visit to Wajir County in November 2016 (by the way, I have now been serving as the Country Director for Oxfam) I went to visit the field areas. I was obviously quite keen to observe the water ATMs. I went to Griftu where we piloted one of our water ATMs. I was with Mr Mohamed Nur Abakiyo, the community mobilizer from the WAJWASCO (Wajir Water and Sewerage Company) who started sharing about the water ATMs. Oxfam and Maji Miliele worked with WAJWASCO to improve their transparency and accountability so that they can assure their clients of the best services. 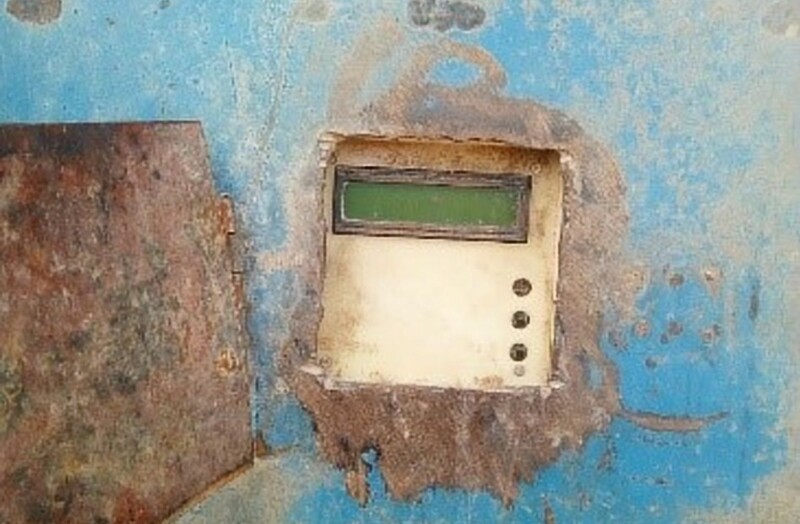 After piloting the water ATMs the company realised that the revenue collection had gone up by four times. The water ATM that I visited would fetch the company a monthly revenue of Ksh 30,000 but post the intervention of having the ATM fixed at the same water kiosk, they were able to collect Ksh 120,000. This was a huge encouragement for the company as interventions like this would enable to raise enough revenue to maintain and expand their water provisioning mandate. The Wajir County Government on the other hand, had made a policy decision that they would not scale up the water kiosks but would concentrate on making sure that there was piped water connection to each household. Therefore, they went ahead with their plans in Arbajahan. They provided water connections to 11 households and spend Ksh 2 million. That’s when they realised that water connections to each and every household in the county would be a high resource intensive intervention and the county did not have that kind of revenue. 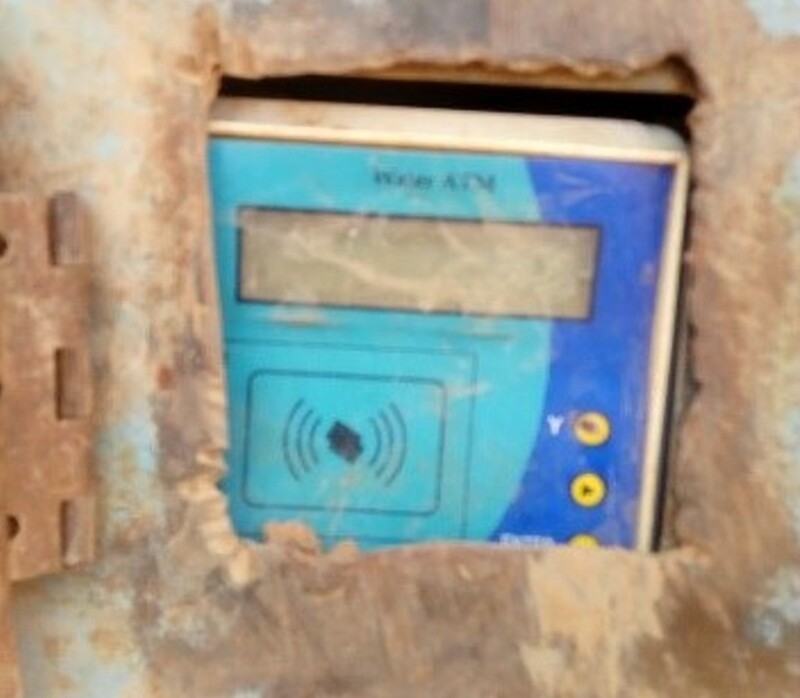 The Wajir County was monitoring the impact of the water ATMs and realised that if a water ATM that cost approximately Ksh 200,000 could reach 100 households and could generate 4 times the revenue then why not expand water ATMs? As I was talking to Mr Adakiyo and he shared that with the revenues collected the company had already expanded 12 other water ATMs and the county government had budgeted for 70 water ATMs. That’s influencing for change, right? By the way, you must be wondering, we started off with aspirations for providing safe, affordable and accessible (remember cartels in the informal settlement control water) Nairobi informal settlement dwellers and I am sharing what we ended up delivering in Wajir? Well! Maji Milele our partner organisation decided to implement one water ATM in Kayole informal settlement of Nairobi. They partnered with a Church which had an existing borewell. Maji Milele at the same time influenced the Nairobi Water and Sewerage Company to implement water ATMs. In September 2016 Maji Milele won a tender advertised by the Nairobi Water and Sewerage Company to implement 800 water ATMs in the informal settlements of Nairobi. 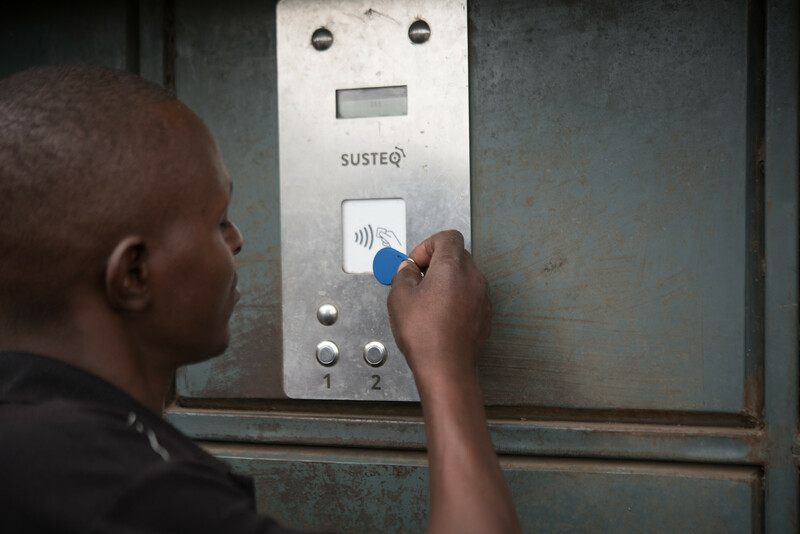 The Business Director and co-shareholder of Maji Milele, Mr. Kenneth Wendo says ‘Thank you Oxfam for being the laboratory for the last two years for organisations like us to sharpen our product and give the best service.’ As of August 2018, Maji Milele has now scaled up the water ATMs in 11 out of the 47 counties and reaching approximately 168,000 people in rural Kenya and will reach a total of 1.1 million people in the urban informal settlement of Nairobi. Just as I reflect on how a small pilot in Wajir has made it possible to reach so many more in Kenya Maji Milele surprises me by moving beyond the Kenyan boundaries. They are serving in the urban informal settlements of Kampala, Uganda, with 20 units of affordable cheap water and reaching about 50,000 people. The women in the rural and urban areas feel that they can access water at any point of time in the day as they have the ATM and do not have to wait for the person to give access to the water kiosk. The water kiosks are less than half a kilometre away from the households and therefore saves the time to walk long distances to fetch water but also queuing up. They also do not have to invest in more storage containers but also in some places the cost of water has been reduced to Ksh 2.5 for 20-litre jerry can. We have not achieved all that we aspired for….but we can be proud of what we have achieved this far…however not to rest yet as we have promises to keep and miles to go before we sleep….